Tomorrow, 19 July 2012, marks the 6th year of detention without trial or charge or evidence for Talha Ahsan, a young poet and first class SOAS graduate. Awaiting extradition to the USA, Ahsan is one of several men who have become victim to the unjust Extradition Act 2003. Other men in a similar situation include Richard O’Dwyer, Gary McKinnon and Babar Ahmad. In the lead-up to the event, we publish the first part of a conversation between Hamja Ahsan, Talha’s brother and Free Talha Ahsan Campaign leader, and Turab Shah, a British filmmaker whose latest documentary, Extradition, is currently touring the UK and takes as its subject the cases of Talha Ahsan and Babar Ahmad. Hamja Ahsan: Why did you make the film ‘Extradition’ about Babar Ahmad and Talha Ahsan? Turab Shah I happened to be at the offices of the Islamic Human Rights Commission the same day they had won a commission to make a film about Babar and Talha. I was there for an art exhibition and got speaking to some of the staff and let slip I was a filmmaker. The commission came up and I was asked to write a proposal for the film and to come back for a meeting. I pitched my idea, which they were positive about and soon after we were shooting the film. This is a very important subject for it affects all British citizens and a film about it should have been made years ago. I was surprised to hear that our film was the first on the subject and that Talha’s case had received very little media attention. Hopefully Extradition does something to rectify that, but far more needs doing and people need to be made aware about how our government is eroding our basic human rights like the right for a trial on your home soil. HA: How has your relationship with the families changed? How did you respond to the ECHR judgement? TS: I did not know the families before making the film, but since then I have grown to admire and care for them greatly. The zeal and humility with which they have conducted their campaigns has been a real inspiration to me. Hamja has become a very good friend and through him I feel I have gotten to know Talha and I feel a personal stake in his fate. I was hopeful that some justice may finally come and was listening frantically to the radio awaiting some good news. I felt dejected when I heard the initial ECHR judgment. I was heartbroken for Babar, Talha and their families and outraged that the European Court could honestly say that the conditions at ADX Florence were no worse than at HMP Long Lartin. How can 23 hours of solitary confinement a day be equated with the conditions that Babar and Talha currently face, which are tame in comparison? It is however important to remain hopeful and to not give up the fight. The campaign continues and I remain optimistic that justice will eventually be done. HA: I understand Ken Fero was involved in the editorial process? How and why? TS: Ken was one of the tutors on my MA course in documentary filmmaking. More important than the technical skills he taught us we learnt from him the importance of integrity in our films and the responsibility we carry. He is someone who does not makes films for any kind of personal gain or glory and instead makes many personal sacrifices for the betterment of whatever cause he is fighting for. I wanted to be like Ken. It was only natural to ask for his guidance on Extradition, so I showed him a rough cut. More than give me ideas, Ken told me to stand by my vision for the film and not to compromise on it. HA: Do you think there is an absence of muslim filmmakers/topics? TS: There definitely is a lack of Muslim filmmakers working in the U.K and those who are doing good works very rarely have their films broadcast on terrestrial television. However, it isn’t simply a case of being suppressed by the establishment. The arts and media, or any profession without financial stability, are rarely encouraged in our communities. I attended a Muslim school till I was 16 and often heard the mantra of there not being enough Muslims working in the media. However, they did nothing to facilitate any ambition the students might have had to work in these fields. In order to have representation in the media and the arts I believe we need to encourage from within. Most of the Muslims I know who pursue such careers have found it to be a lonely and difficult journey to get to where they are. There is a responsibility on us to encourage and support the next generation, rather than complain about the constant misrepresentation. HA: What does your documentary do that broadcast news bulletins can’t? TS: It was important that we made a film that humanised and did justice to the suffering of Babar, Talha and their families. So often news reports and films about such subjects skip over the personal devastation that is caused by these injustices. It was also crucial for me to include some of Talha’s poetry and to give him a voice through it. When I first encountered his verse I was struck by its beauty and power. His humanity and wisdom shone through. These were words that I felt compelled to share and it was also a means by which Talha could tell some of his own story in the film. We weren’t allowed to interview him or Babar and I felt this was the most powerful means by which to include him. I wanted people to be inspired by Talha just as I was. Audiences have responded very well to the film and at one screening someone commented that they felt “Talha was in the room with us”. Part Two of this conversation will be published in the coming days. Thursday 19 July 2012, 19:00 – 21:00. For further information about the event, visit the Free Talha Campaign website. For more information on the film, Extradition, visit the Facebook page, or check out the touring schedule. Hamja Ahsan is a curator and activist based in the UK. He is the Free Talha Ahsan campaign leader. Follow him @HamjaAhsan. Turab Shah is a british filmmaker and activist. 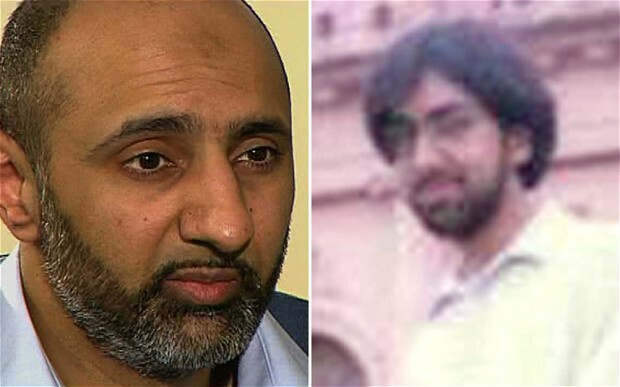 His film, Extradition , featuring Gareth Peirce and families of Talha AHsan and Babar Ahmad, is available to watch online.. I believe this is one of the most important issues today. Just about everyone believes in their heart that this extradition procedure is totally without a modicum of ethics. We now have many various cases that are deeply disturbing; some more complex than others. It is time for ‘root and branch’ change in our legal system; giving protection and justice to everyone.